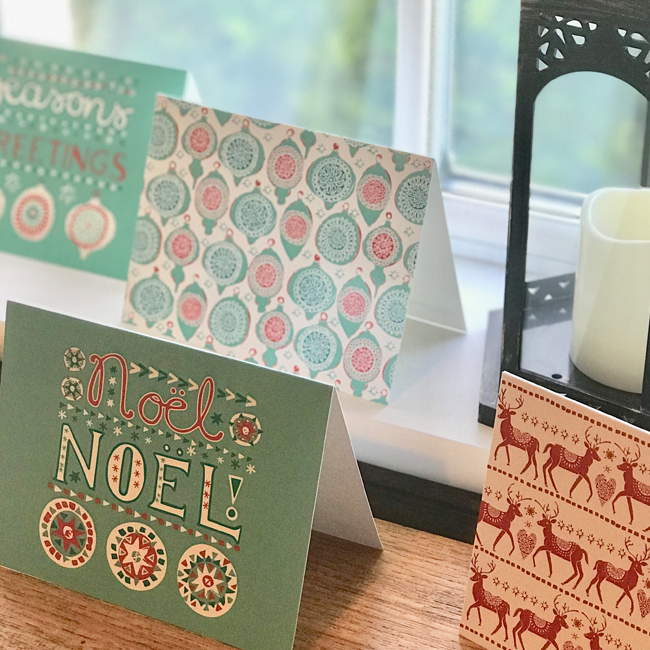 I am delighted to be able to share with you my collaboration with Widdop & Co. across homeware and gift in the UK & Europe. My soft and delicate ’Sand Dunes’ collection launched at Autumn Fair, UK this month and covers product including lanterns, photo frames, storage boxes, trinket dishes, keep sake boxes, wall art, stationery, mugs and lots more! 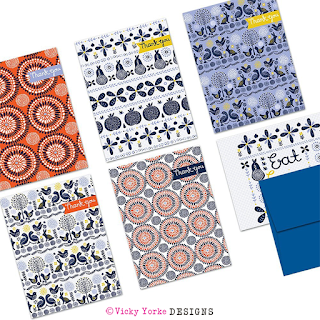 Product is due to be in stores A/W 2017 and I will update the blog with more information as soon as it's available. 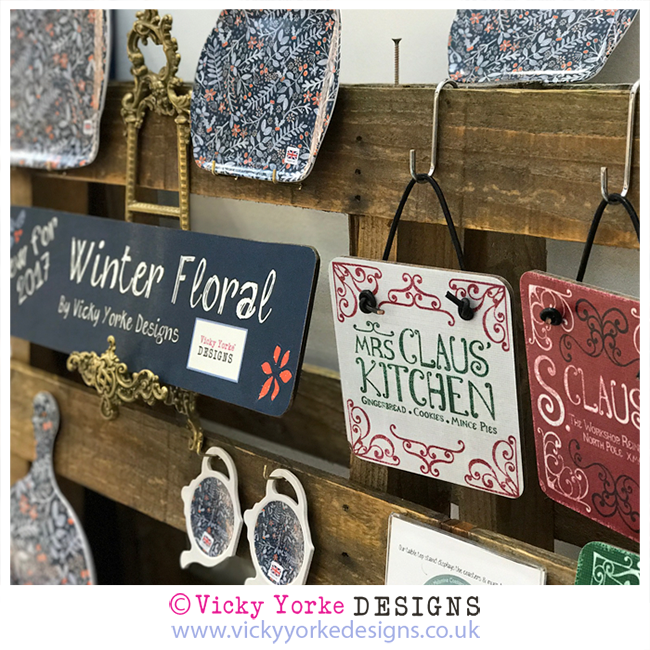 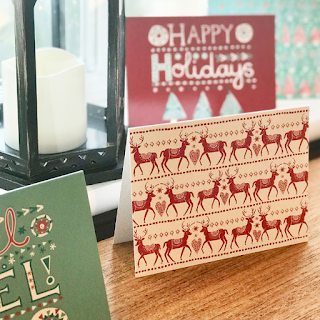 Also at Autumn Fair I was excited to launch new Christmas designs with UK company, Melamaster, which includes a selection of melamine and laminated board decorative kitchen products and hanging signs from my ’Winter Floral’, ’Vintage Christmas’ and ’Folk Tale’ ranges. All designs are available to trade for custom order and select designs will be in retail and online in the run up to Christmas. 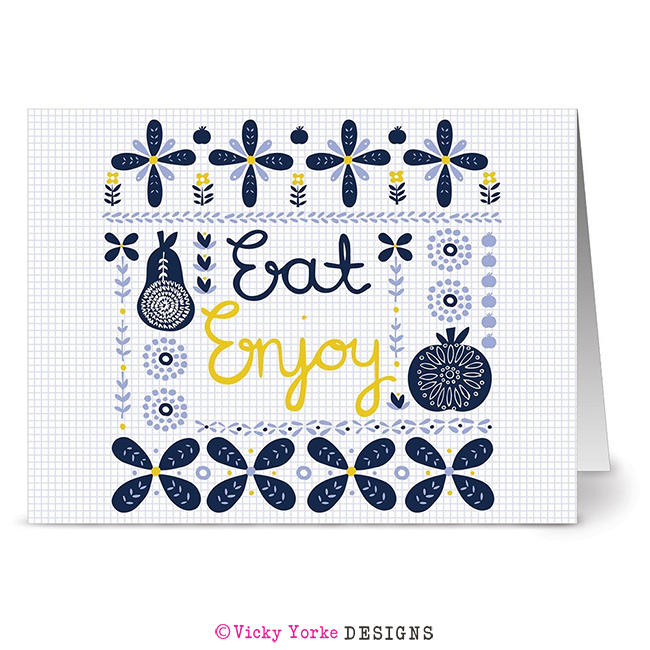 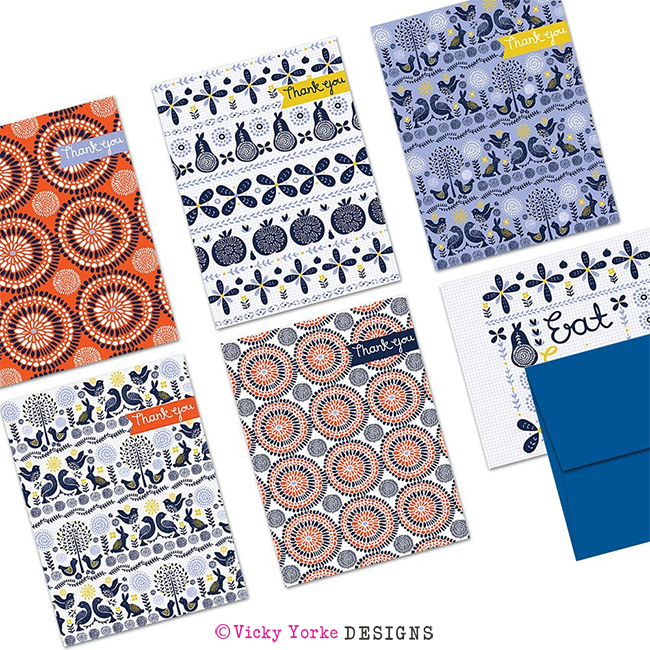 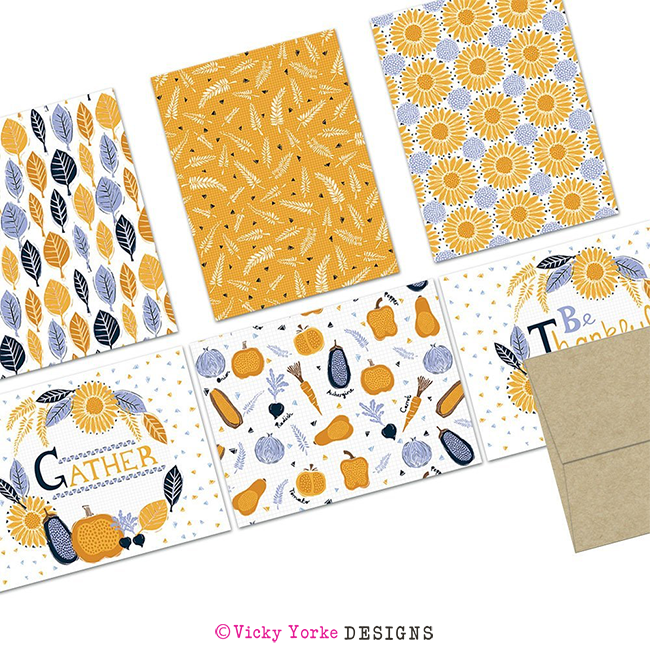 I am really delighted to announce that I have five new ranges of notecards now available through Note Card Cafe! 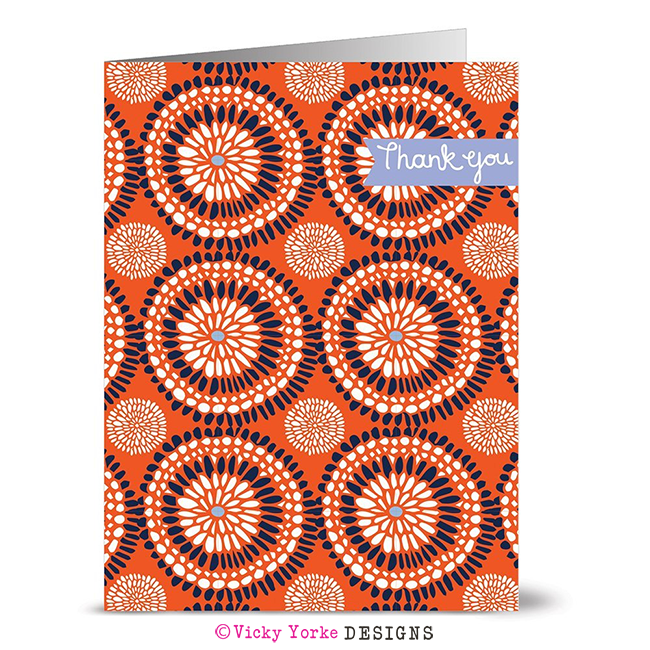 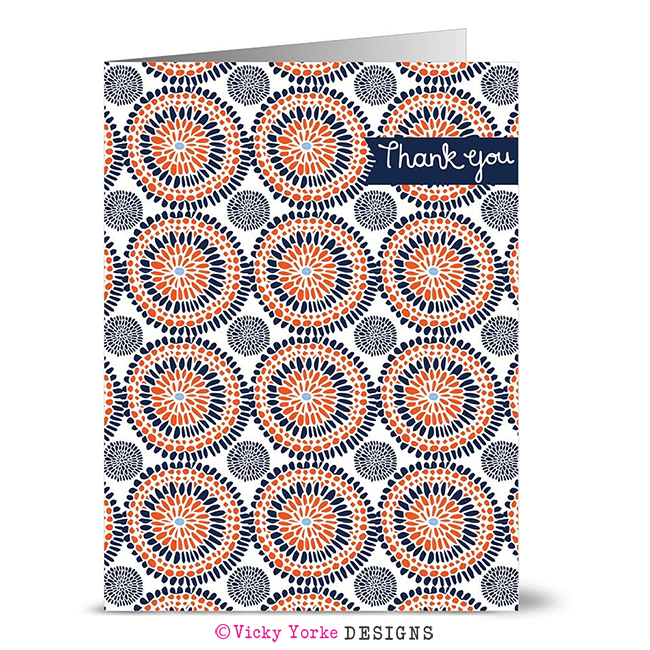 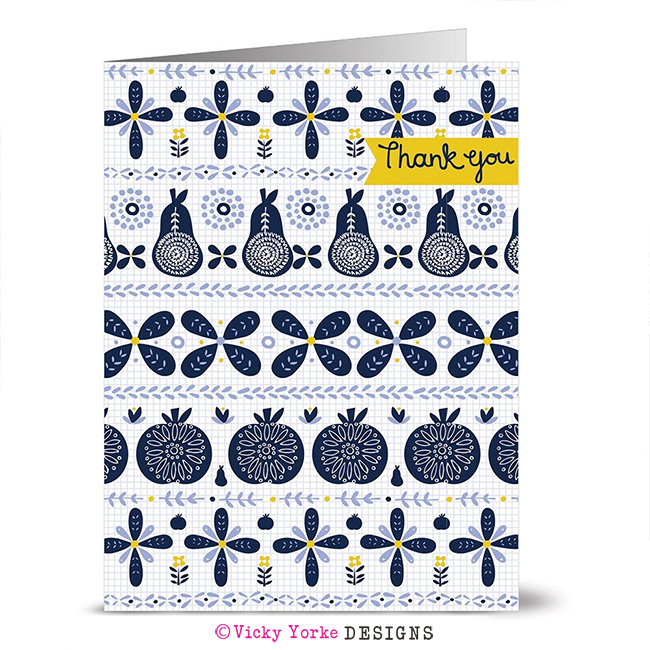 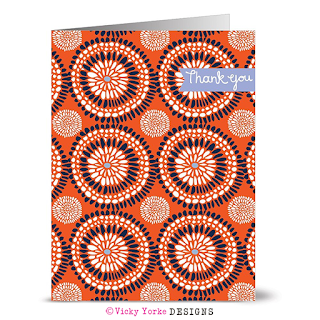 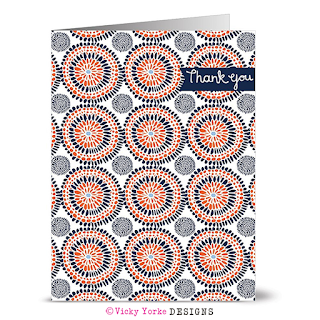 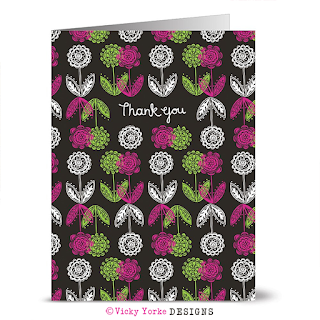 A selection of 'thank you' cards and one typography design card that is suitable for many greeting occasions. 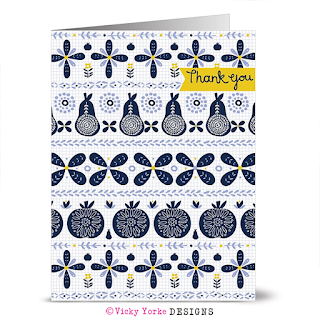 All feature folk inspired patterns in classic colour combinations including blue and yellow and red and blue, with motifs such as apples, pears, bunnies and birds, as well as floral motifs. 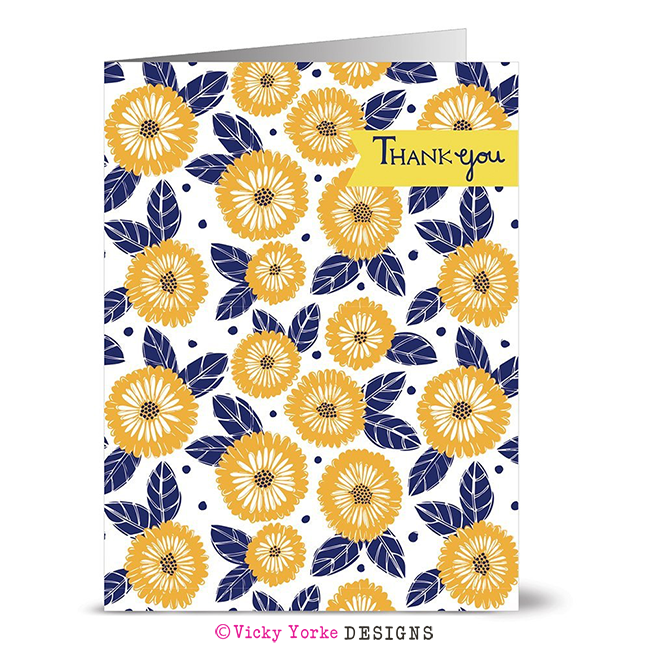 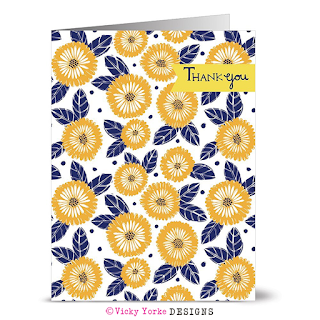 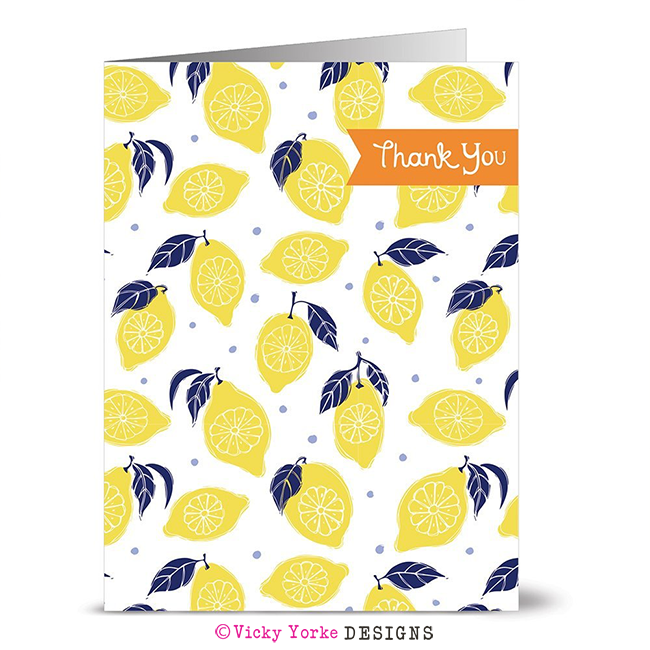 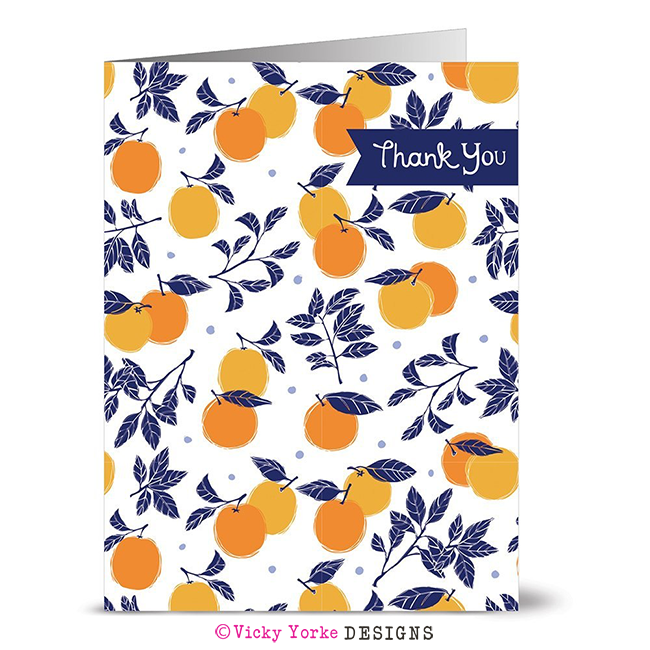 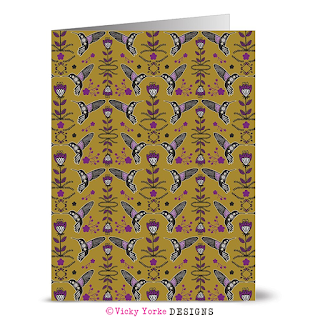 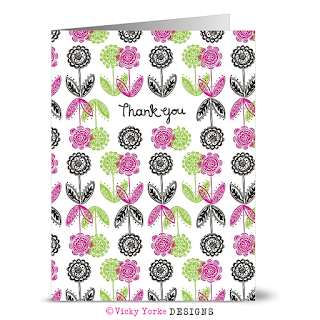 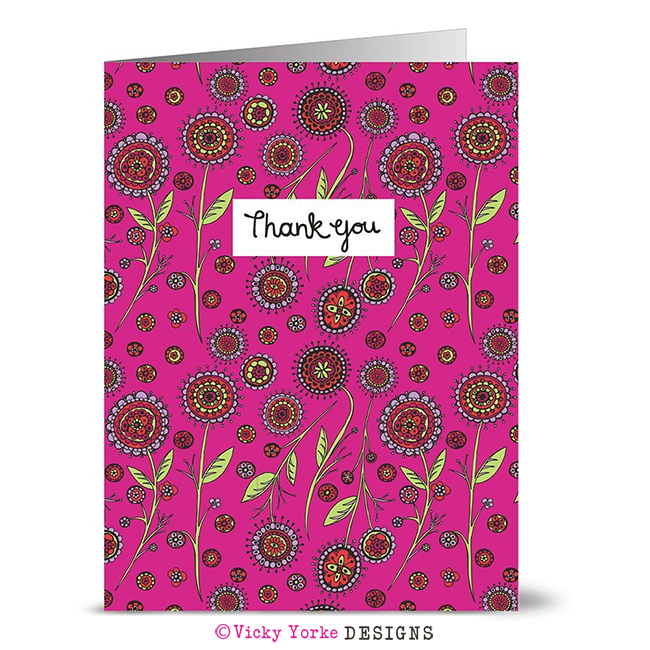 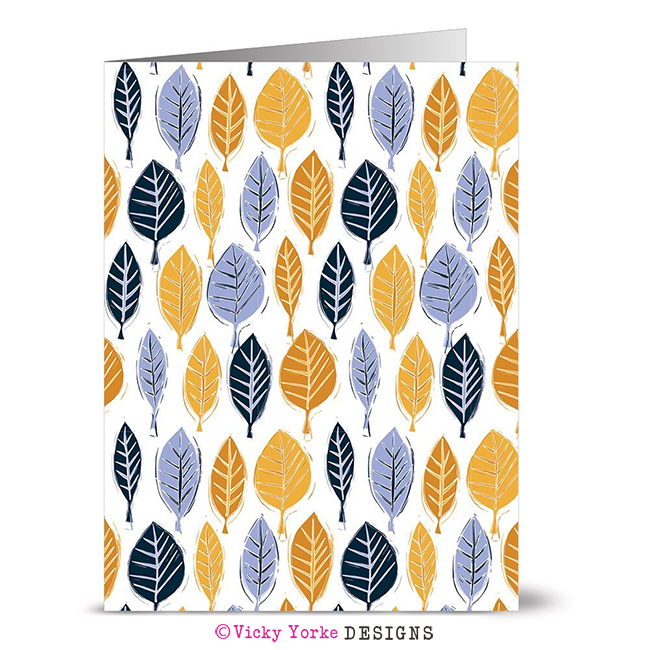 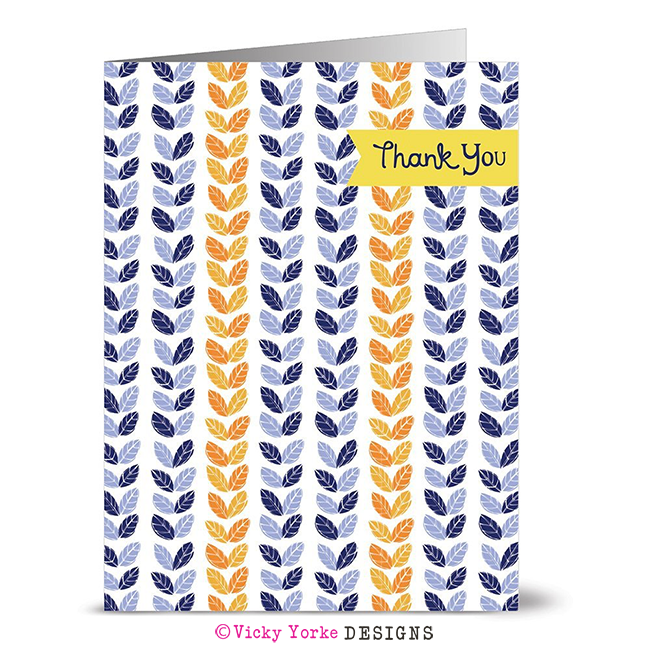 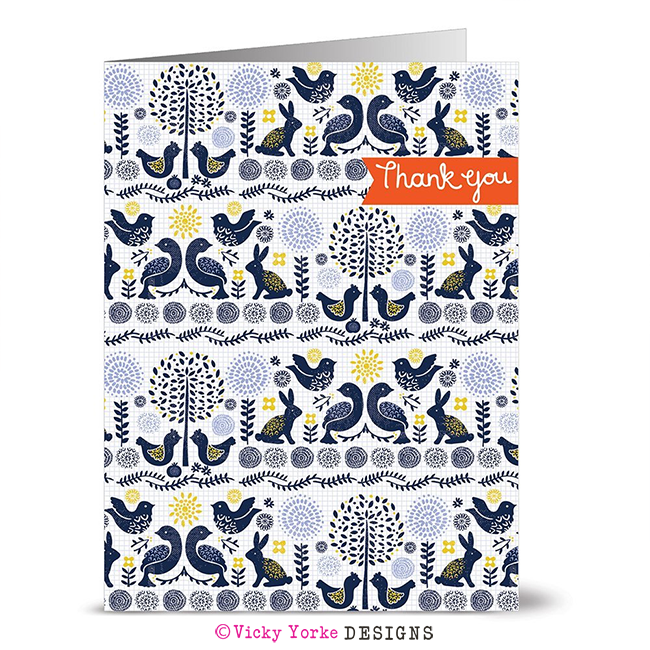 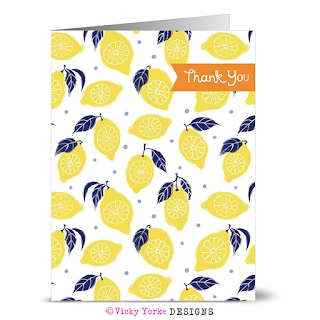 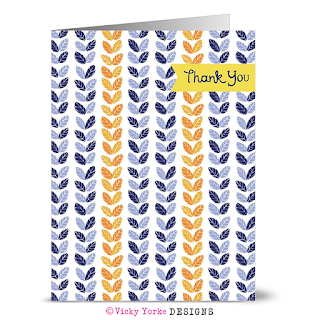 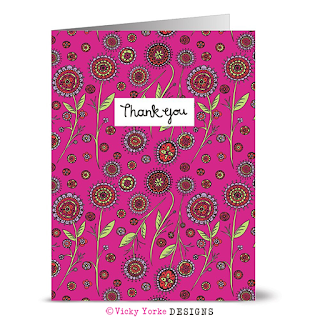 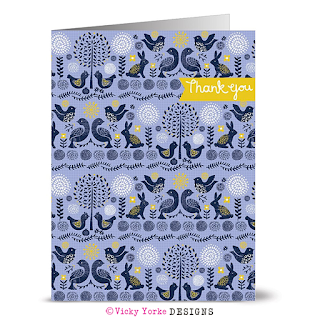 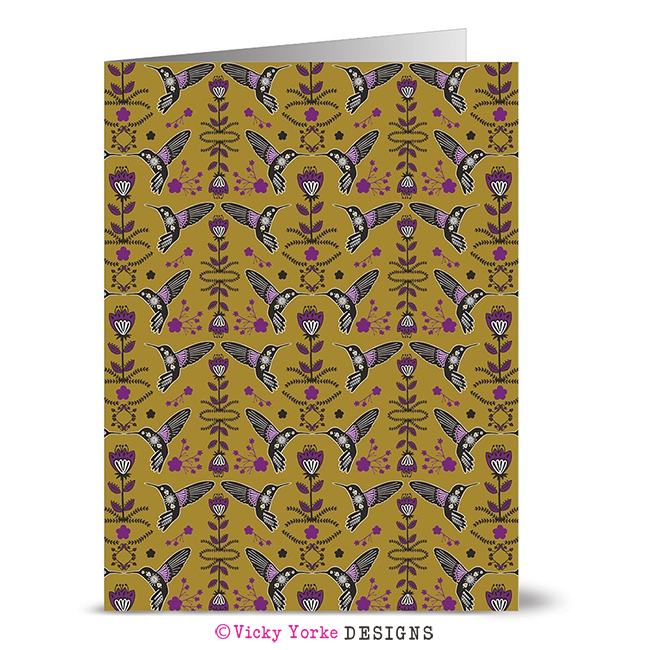 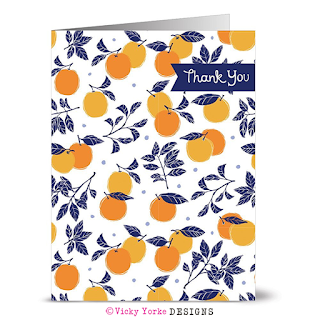 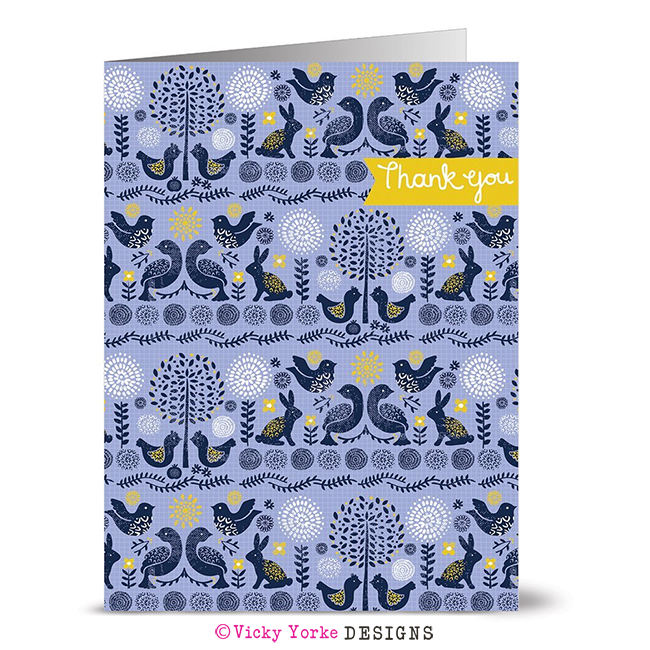 'Fabled Forest' is a mixed range of 'thank you' cards and cards with no sentiment that are perfect for any occasion. 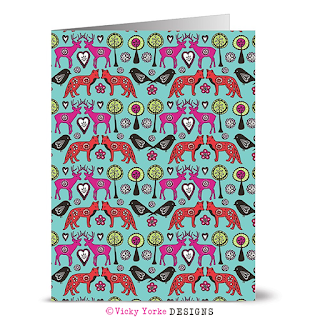 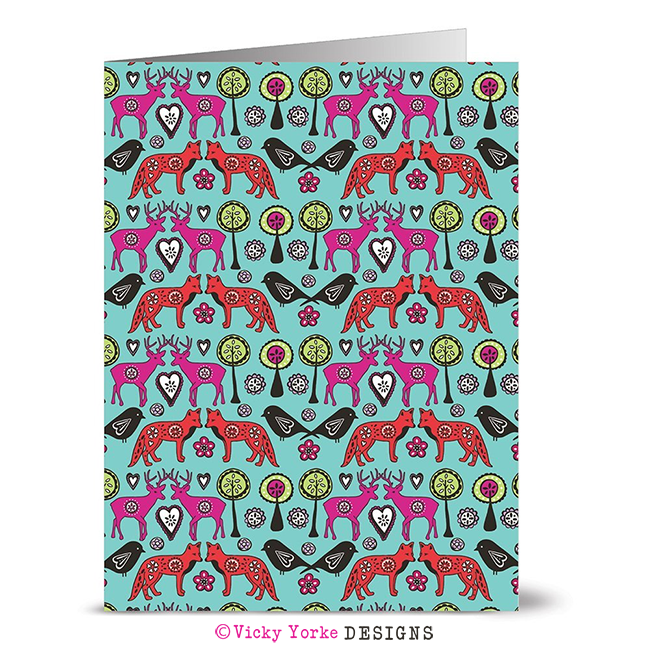 Designs are brightly coloured and feature forest inspired themes with bold florals and animals such as hummingbirds, foxes, deer and more. 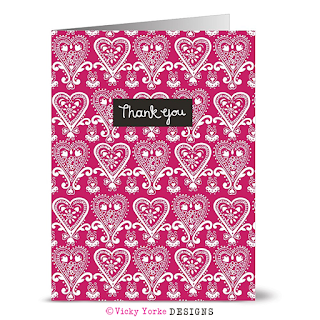 There is also a whimsical heart design. 'La Dolce Vita' lets you say 'thank you' with Mediterranean inspired style! 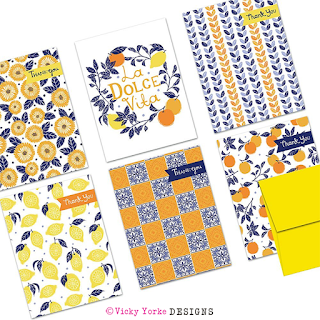 Bold designs in classic blue and orange, or blue and yellow evoke a sense of classic Italy. 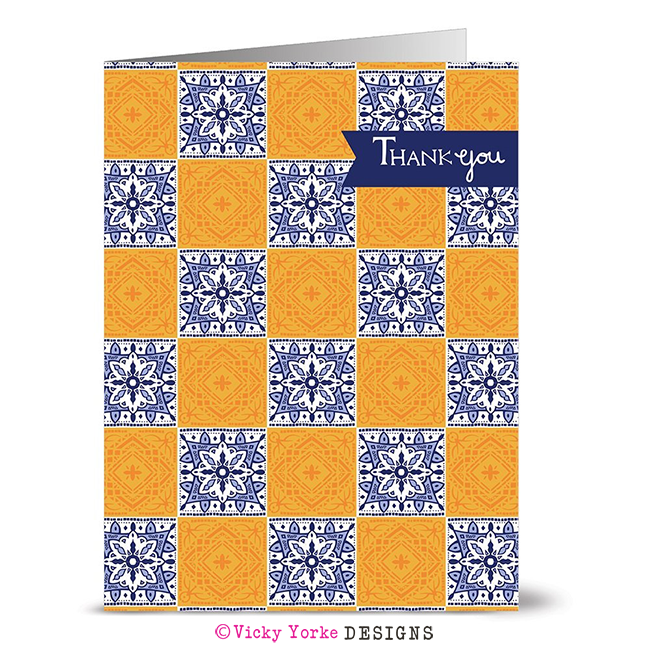 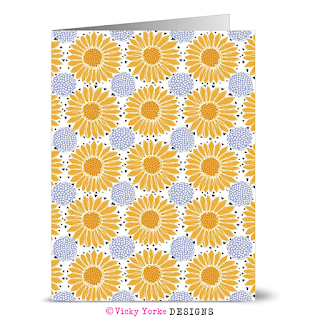 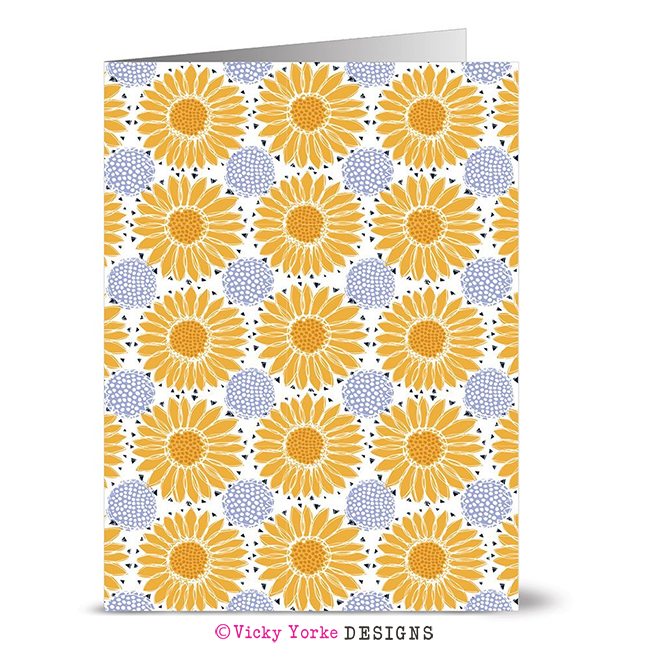 Included are orange and lemon prints, tile patterns, leaf prints and floral designs. 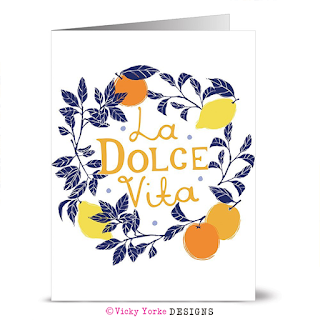 There is also a 'La Dolce Vita' typography design that can be used for many different greeting occasions. 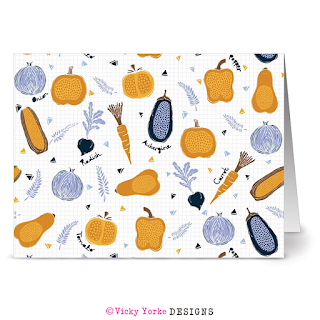 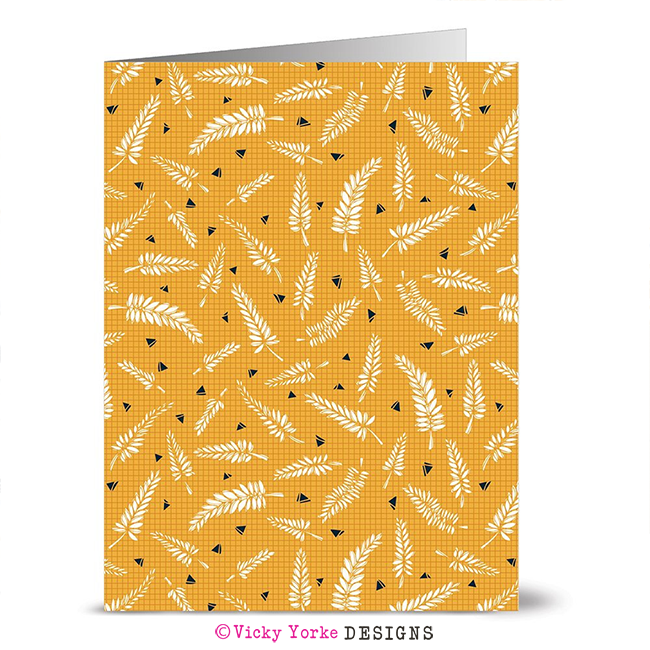 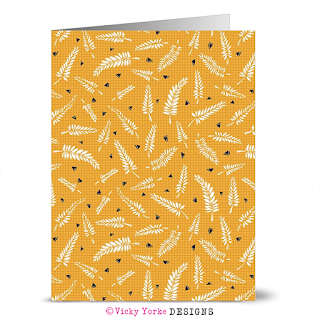 'Harvest' is a selection of vibrant designs inspired by freshly picked vegetables at harvest time, Autumn / Fall leaves and sunflowers. The cards are perfect for everyday sentiments, but are also ideal for Thanksgiving with on trend hand drawn typography in 'Gather' and 'Be Thankful' designs. 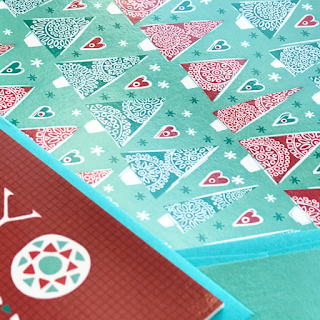 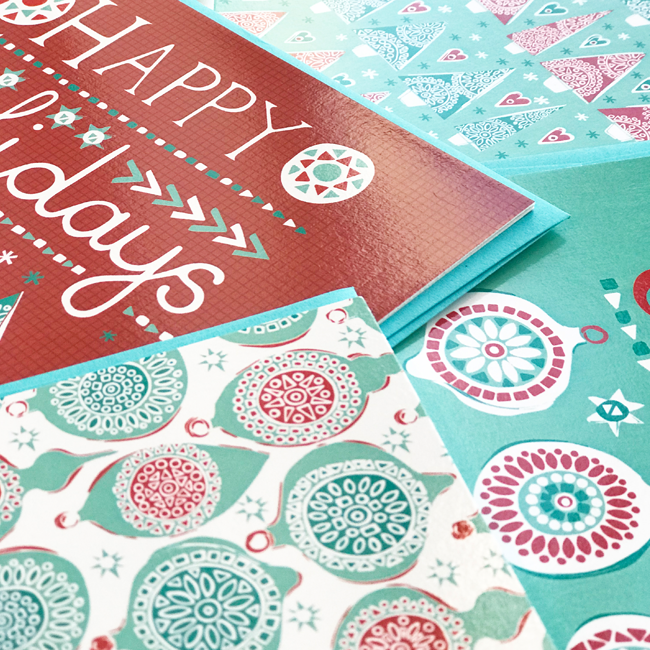 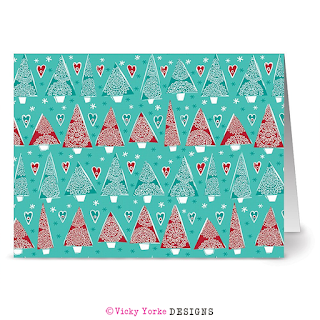 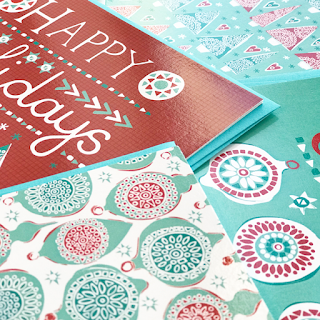 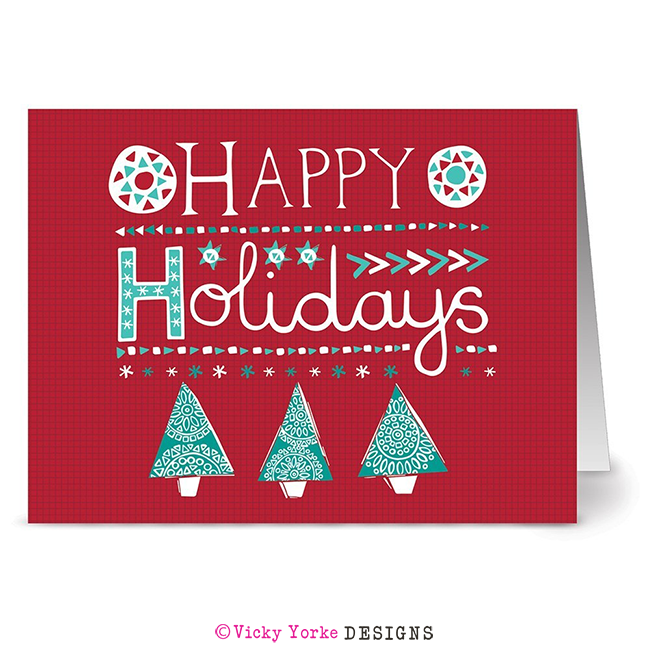 'Winterland' is a collection of greeting cards suitable for the whole of the festive season. 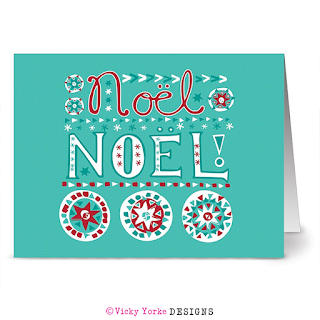 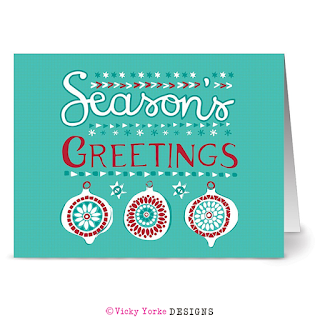 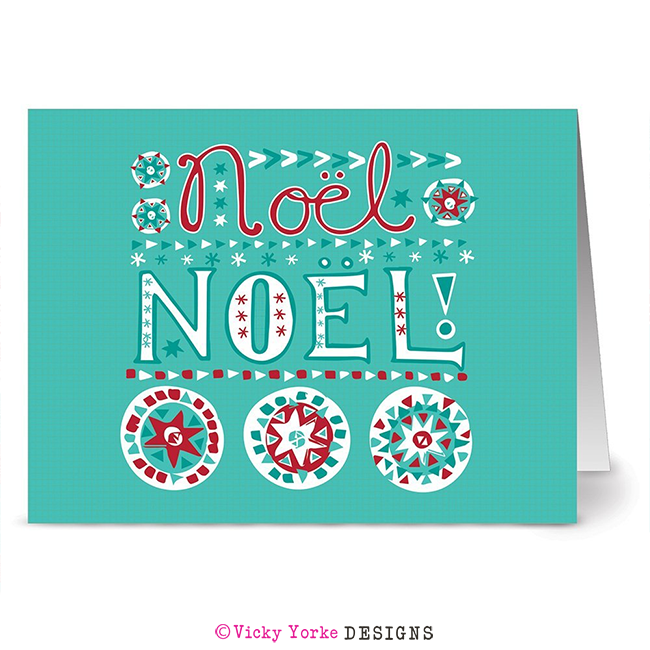 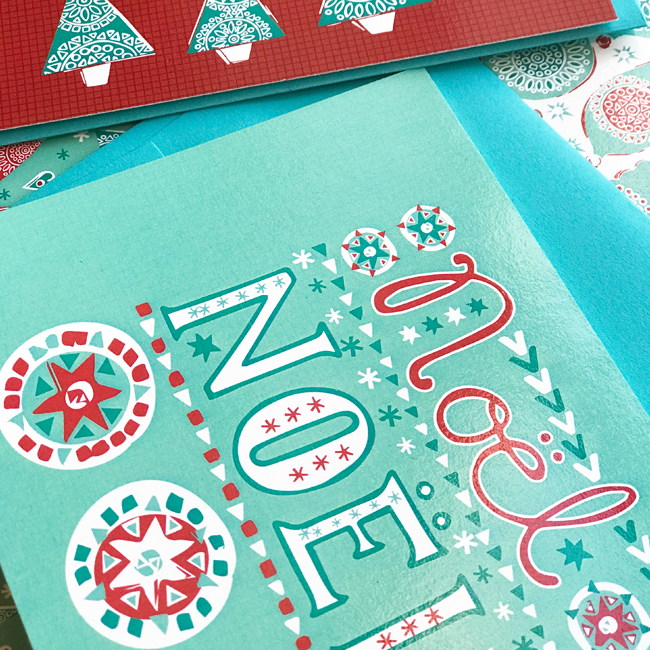 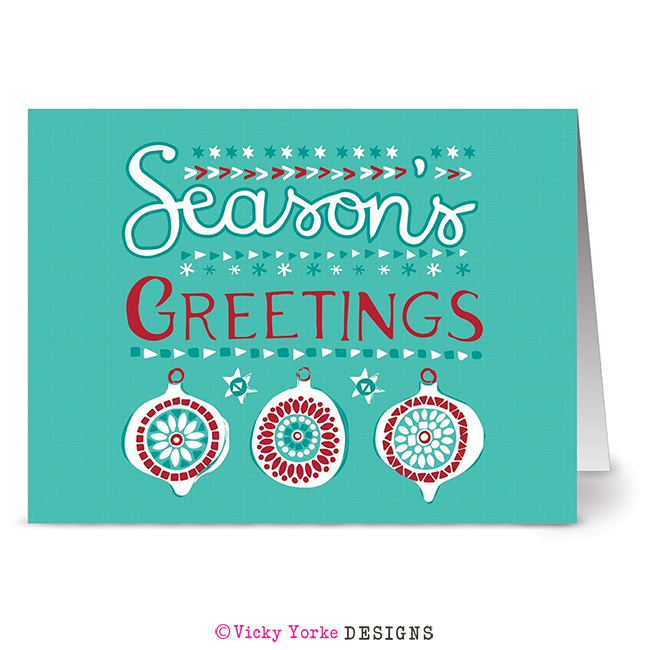 The range features three hand drawn typography designs with messages of 'Season's Greetings', 'Noel Noel!' 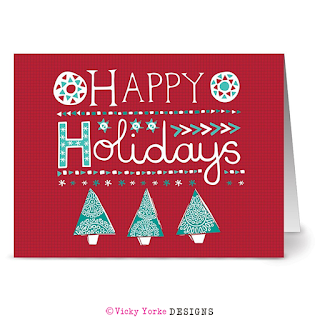 and 'Happy Holidays!' 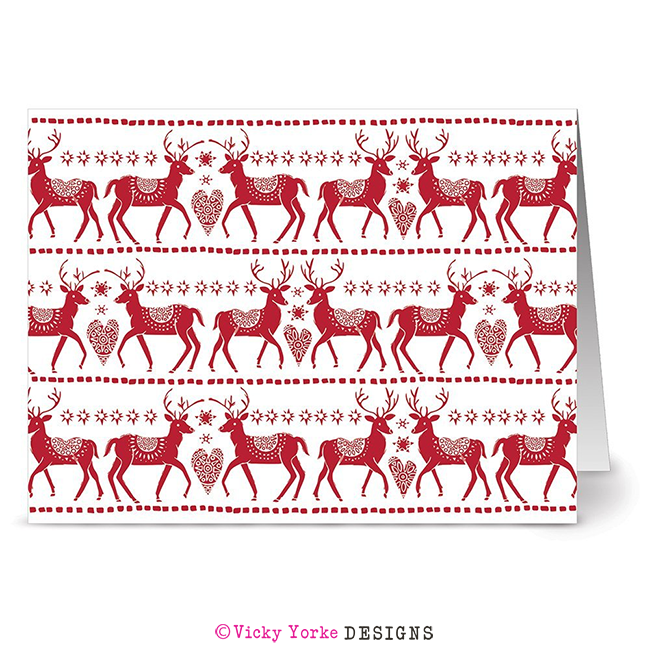 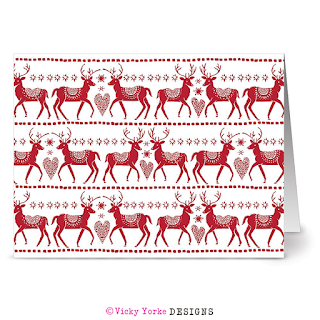 There are additionally three pattern based designs featuring motifs including reindeers, baubles and Christmas trees all in a modern red, white and light teal colour way. 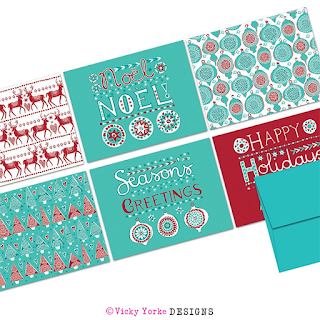 All designs are available from Amazon.com. 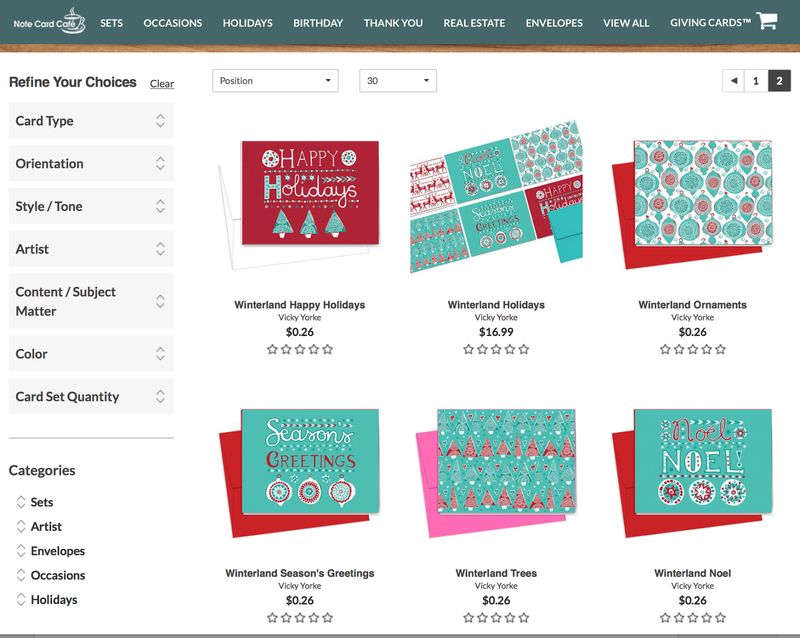 (Unfortunately, there isn't currently a way to purchase these cards in the UK, but I will keep you posted if that changes!) 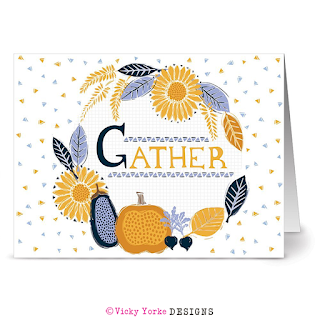 Simply search for 'Note Card Cafe' on Amazon.com plus the range name listed to shop, or use the links in this blog post. 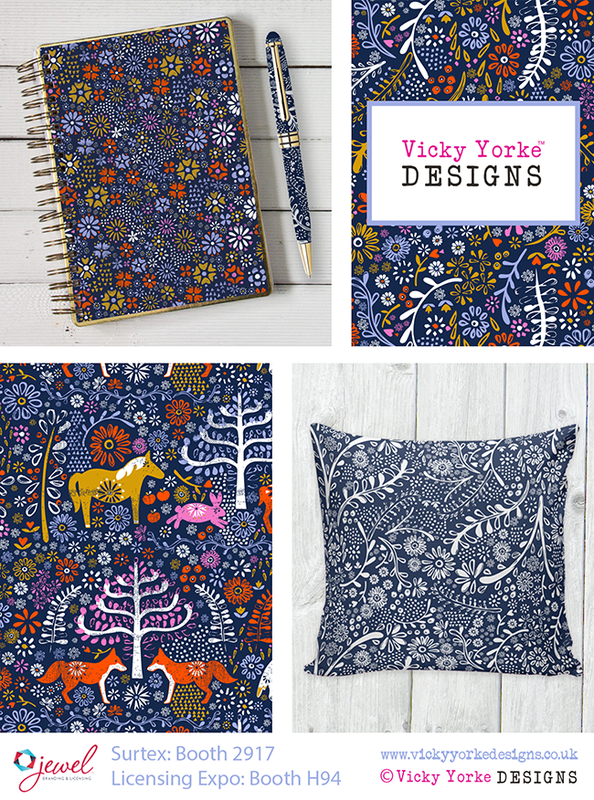 Follow my Facebook page, Instagram or blog to find out about other new products coming soon! 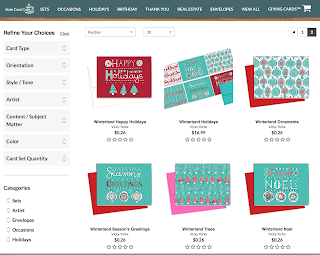 My agents, Jewel Branding & Licensing will again be exhibiting my designs at Surtex in New York and Licensing Expo in Las Vegas later this month. 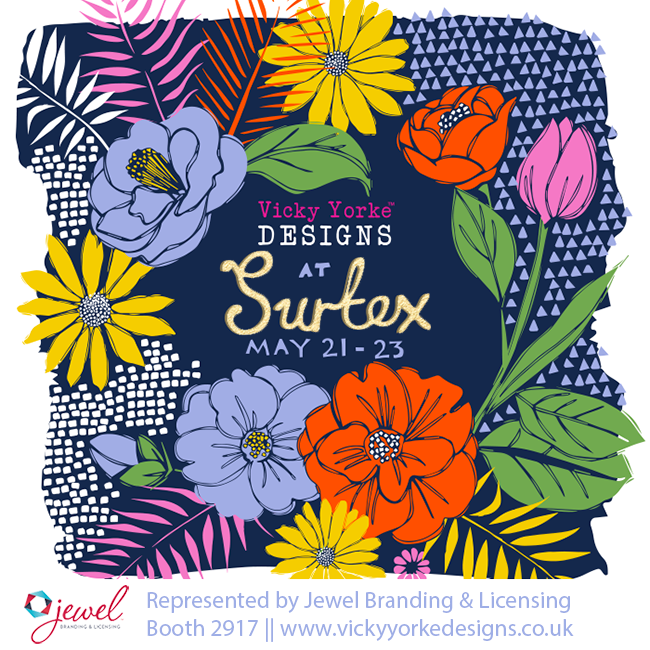 This year Surtex runs from May 21st - 23rd and Licensing Expo from May 23rd - 25th. 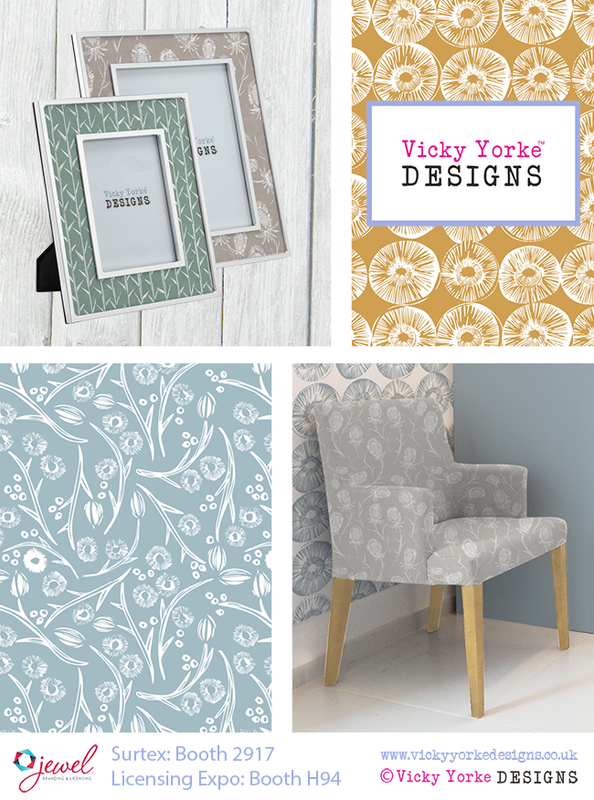 With both shows happening back to back for the first time, I've been super busy updating my portfolio with fresh new designs! 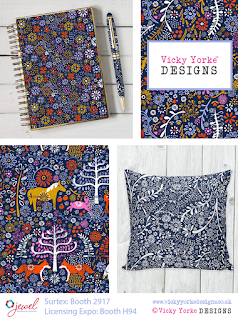 All of my designs begin as hand drawings, so for months now I have been drawing, drawing, drawing - which has been wonderful! Here are a few examples - You can see more by following my Instagram @vickyyorkedesigns where I have documented much of my preparation for the shows. 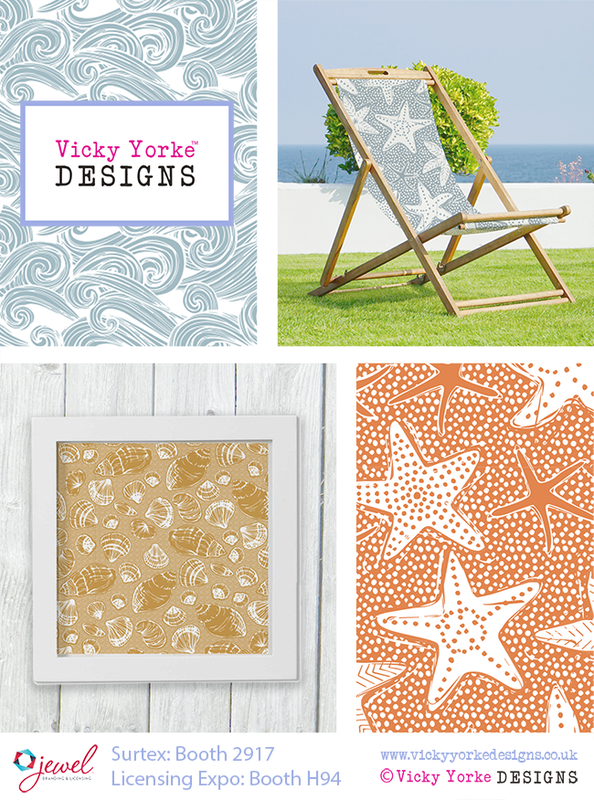 I am so inspired by the sea and recently took a working holiday to the coast to do more sketching and to provide some last minute inspiration for new collections. 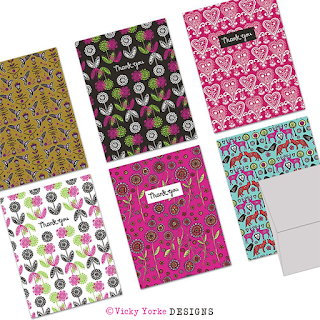 I'm now in the final stage of preparation, pulling all of my patterns together and creating product mock-ups. 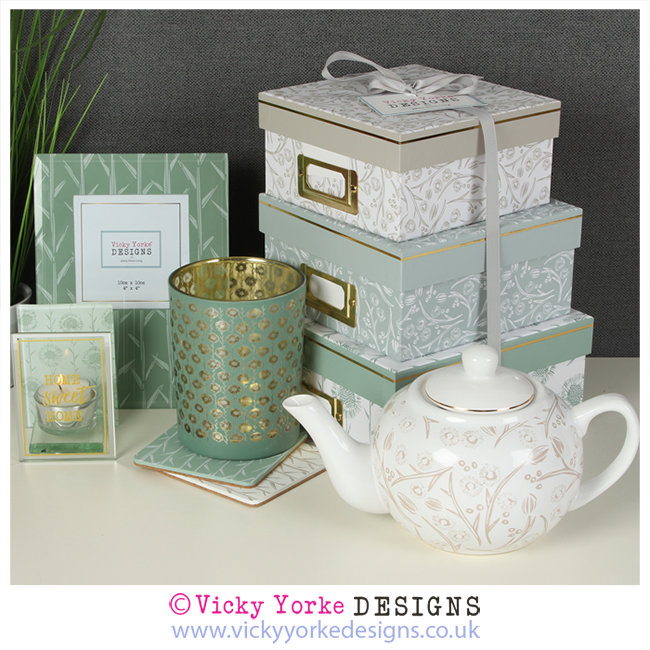 Below is a sneaky peak at some of my collections, the first of which is aptly named 'Jewels of the Sea'. 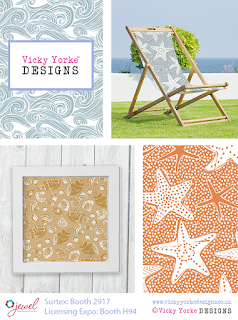 My 'Sand Dunes' collection was inspired by the stunning coastal flowers found in the sandy banks around the beautiful National Trust beach at Studland in Dorset and the calming colours of the sand and the sea. 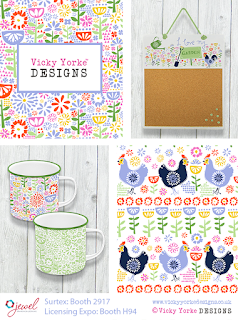 I've added many new designs to my portfolio covering surface pattern design, illustration and typography in my bright and whimsical style. 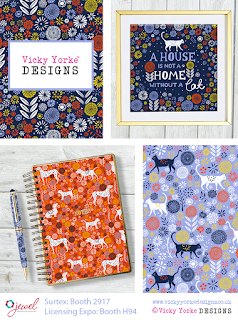 As well as coastal prints, themes include animals, florals and designs inspired by travel, as well as Christmas and other seasonal designs. 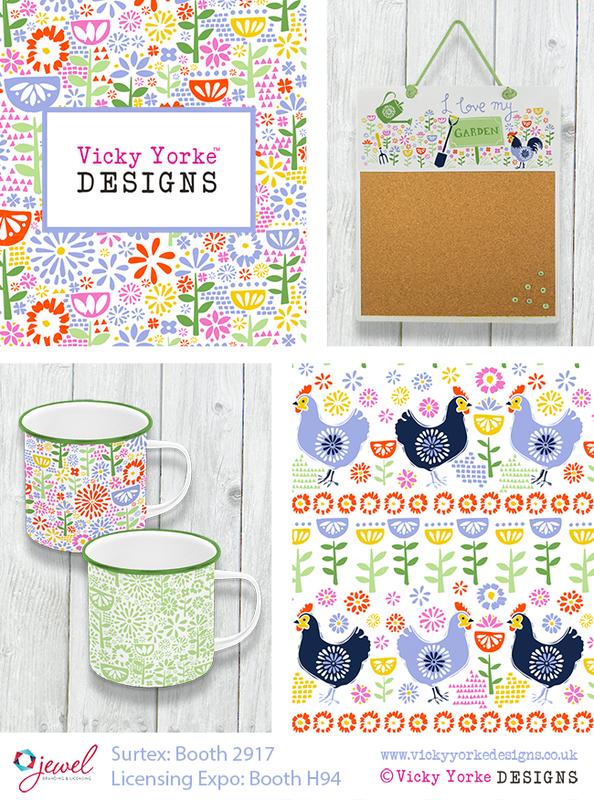 A few more examples of what you can expect to find in my portfolio are shown below. 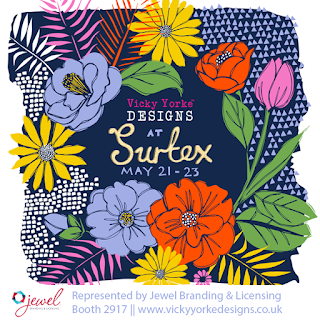 If you can't make the shows, but are still interested in seeing more and potentially licensing my designs please email me at vickyyorkedesigns@yahoo.co.uk or contact Jewel Branding.